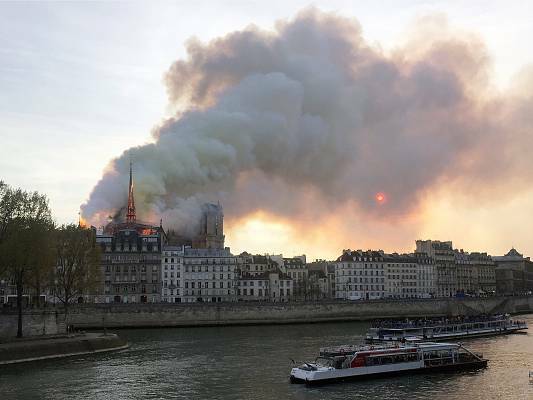 The fire that ravaged parts of the Notre Dame cathedral’s roof was probably caused by accident, said French prosecutors on Tuesday after firefighters finished extinguished a gigantic blaze that broke out at the iconic structure in Paris on Monday evening. 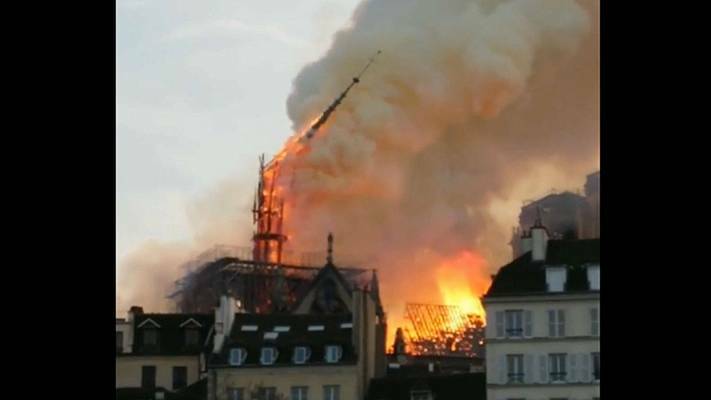 More than 400 firemen worked to control the immense fire that consumed the roof and collapsed the spire of the eight-centuries old cathedral. “The entire fire is out. 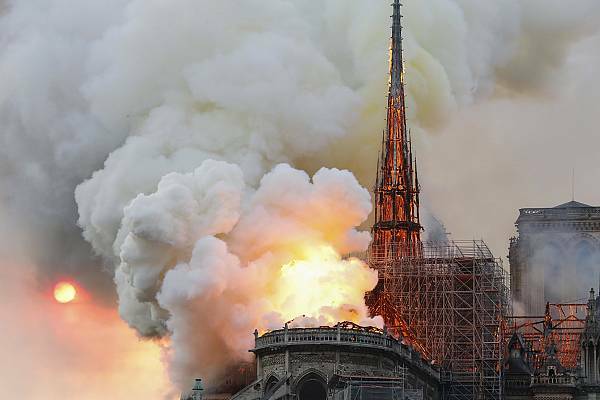 We’ve now entered the expertise phase,” said Gabriel Plus, the spokesman for the Paris fire brigade, adding that the “violent fire” had “spread very quickly over the entire roof” on “about 1,000 square metres”. 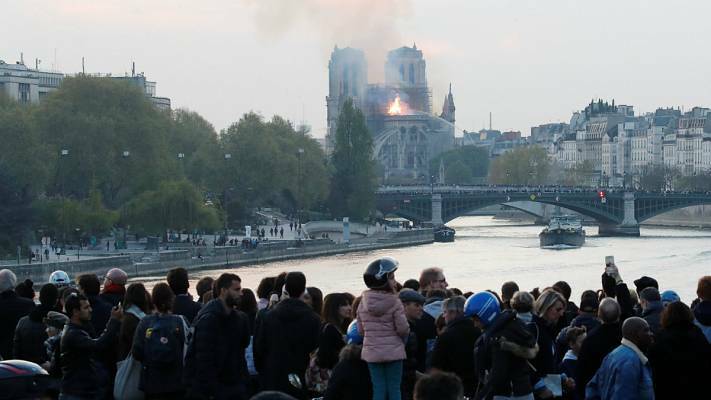 “We are favouring the theory of an accident,” Paris public prosecutor Remy Heitz said, adding that more than 50 people were involved in the investigation. He added that police will start questioning the workers involved in the restoration on Tuesday. 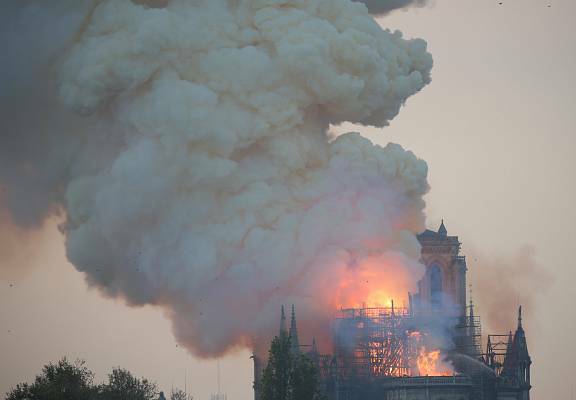 Smoke could be seen billowing out from the top of the medieval cathedral as flames leapt out beside its two bell towers. One firefighter was seriously injured in the blaze — the only reported casualty. 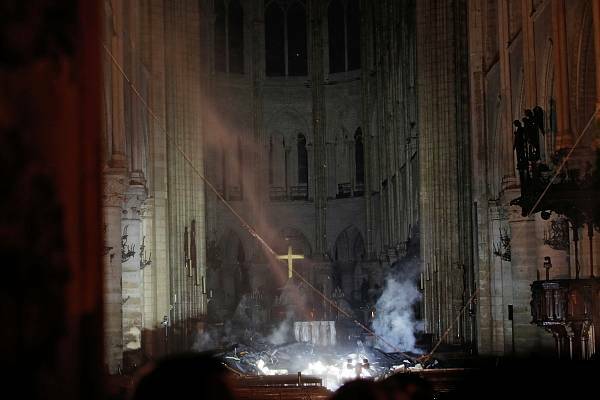 While the outside walls and the bell towers were untouched, the fire severely damaged the inside and devastated the upper structure. 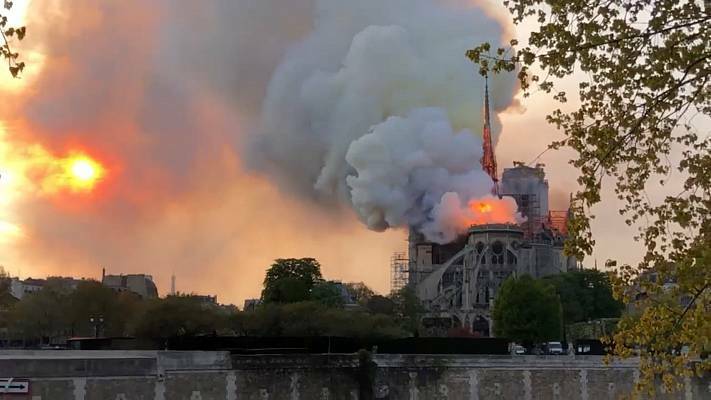 Paris fire chief Jean-Claude Gallet said that the operation was now focused on preserving the rear of the cathedral where the most valuable works are located. 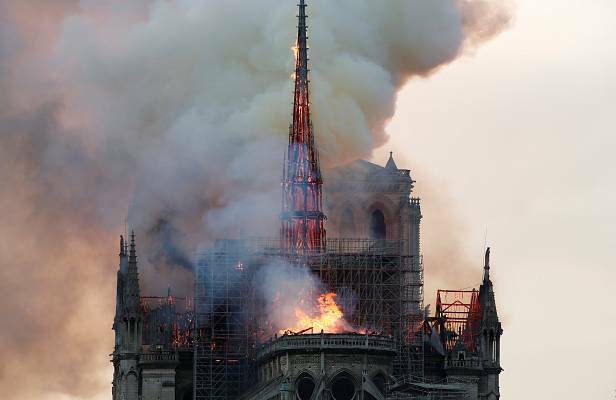 But even though the entirety of the fire has been extinguished, authorities are not certain whether the cathedral’s structure will resist, said French junior interior Minister Laurent Nunez. 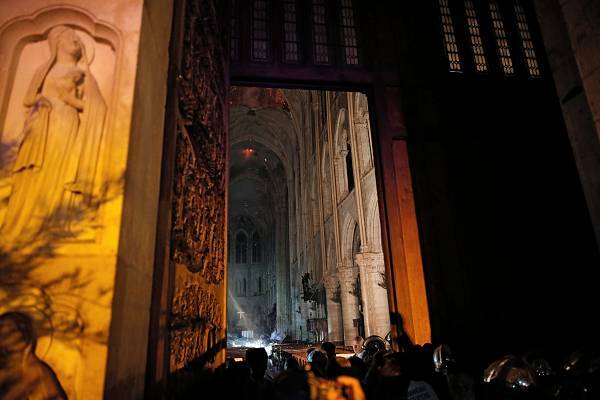 Investigators will not be allowed to enter the cathedral until experts decide that the building is secure enough. 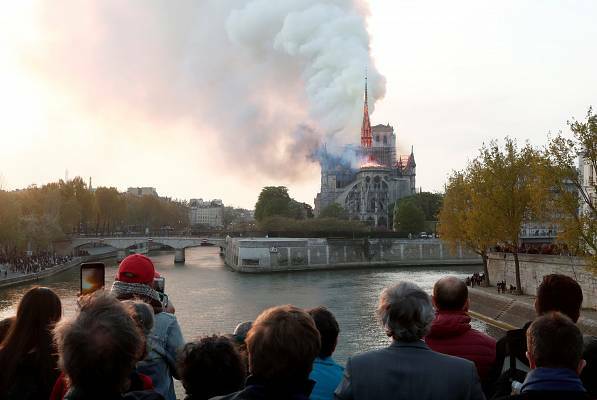 A group of 16 copper statues escaped the blaze as they were removed from the cathedral’s roof on April 11 for restoration work, as part of a €6 million renovation project. French President Emmanuel Macron pledged to rebuild Notre-Dame in a public address. 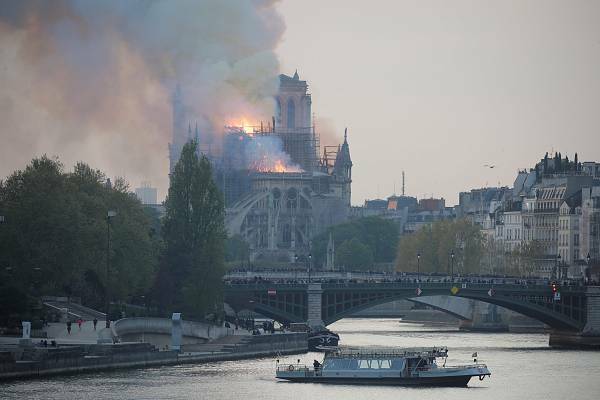 “Notre-Dame is burning, and I know the sadness, and this tremor felt by so many fellow French people. But tonight, I’d like to speak of hope too,” he said, announcing the launch of a fundraising campaign. Macron also thanked the emergency services and said his thoughts were with Catholics across France and around the world. 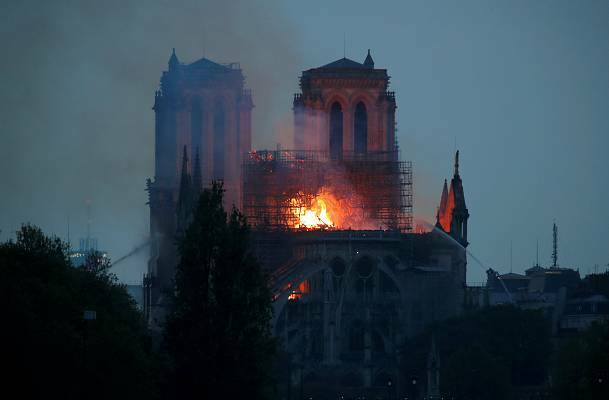 However, the newly elected president of the Bishops’ Conference of France, Eric de Moulins-Beaufort said that restoring the iconic building would take “years of work”. 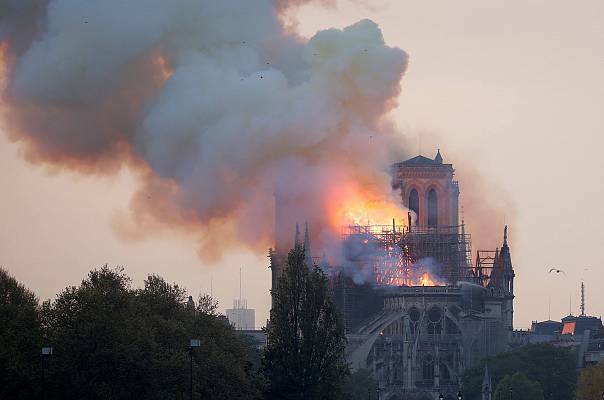 A French heritage organisation, Fondation du Patrimoine, tweeted that they would launch a “national collection” for the reconstruction of the cathedral. 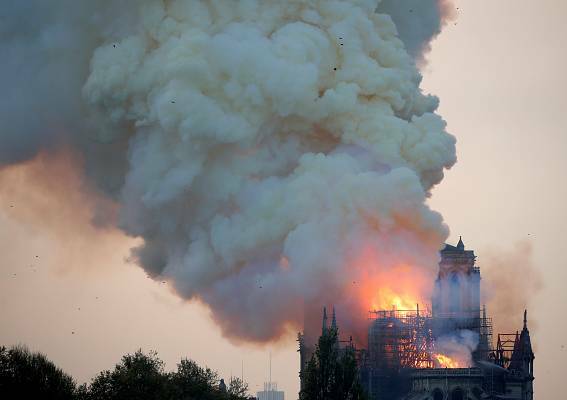 One of the richest French families, the Pinault family, pledged €100 million for Notre-Dame and French billionaire businessman Bernard Arnault’s family and his LVMH luxury goods group will donate €200 million for repairs. 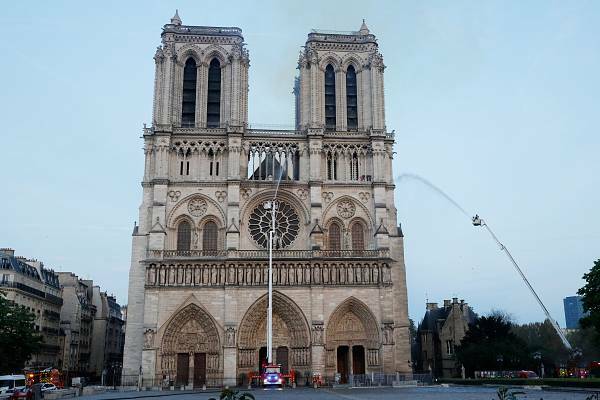 Paris’ mayor Anne Hidalgo has proposed to hot an “international conference for donors” to coordinate the pledges to restore the cathedral. The Ile-de-France region, which comprises the greater Paris region, will immediately free up €10 million to use for the first repairs. 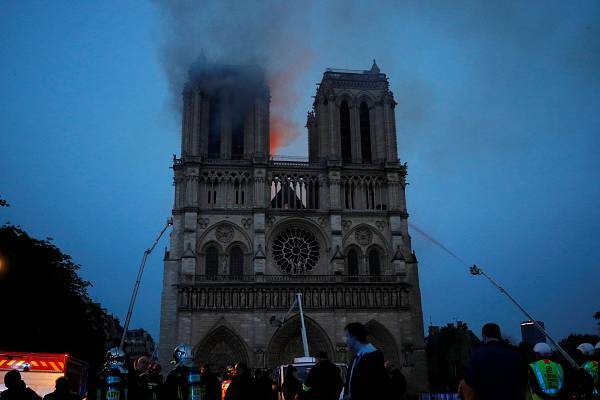 The Vatican’s culture minister said the Vatican was willing to offer technical restoration know-how from its museums to help rebuild Notre Dame. 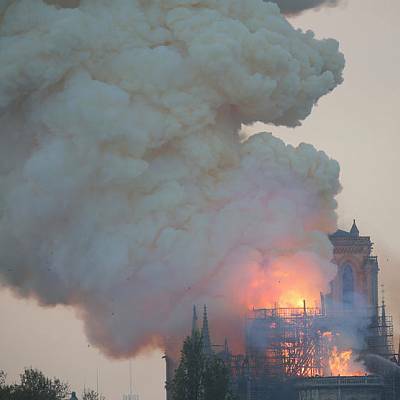 Nicolas Marang, 47, a consultant and a Paris resident for 27 years who witnessed and took a video of Notre Dame’s spire falling, told Euronews the blaze was “an absolute nightmare”. “I keep thinking about, all the culture. It is so delicate and now it’s all gone. It’s all burned,” he said. “People started taking pictures. Some people were crying. It was like being knocked out,” he added. 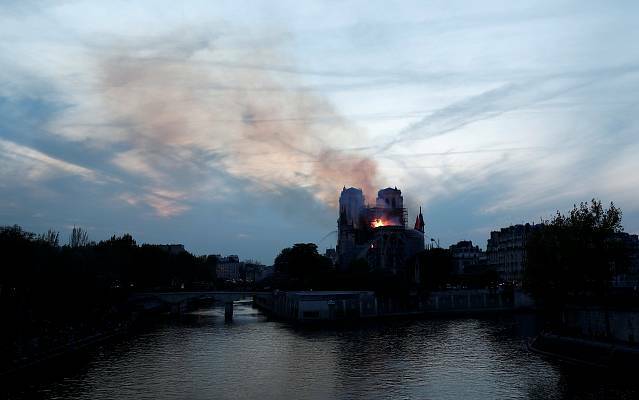 Onlookers gazed on in disbelief at the inferno at the religious landmark, which is located on the Ile de la Cite, an island in the River Seine. 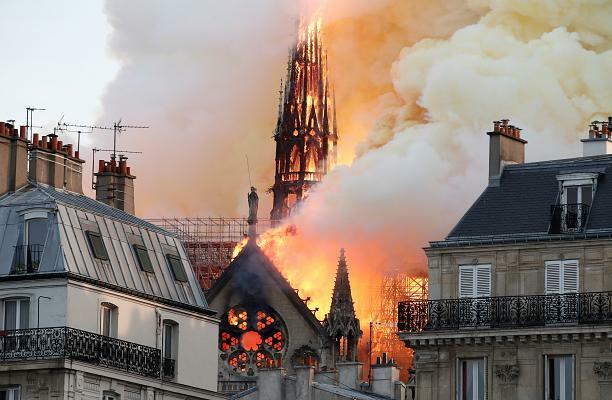 Politicians from across the world tweeted their condolences and support to the French people, while Twitter users shared their memories of visiting Notre Dame in response to the blaze. What relics were saved from the fire? 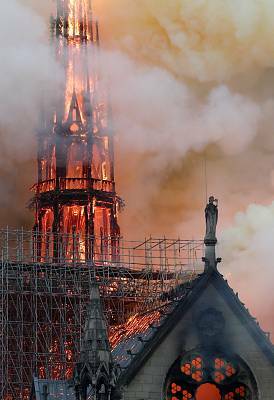 A centuries-old crown of thorns made from reeds and gold, as well as the tunic worn by Saint Louis, a 13th-century king of France (Louis IX), were saved, Notre-Dame’s top administrative cleric, Monsignor Patrick Chauvet said. Firefighters had struggled to take down some of the large paintings in time, he added. French President Emmanuel Macron cancelled a planned 8 pm CEST address to the nation on the “Gilets Jaunes” (yellow vests) movement due to the “terrible fire”, said an official at the president’s Elysee office.